One of the most helpful tools in the kitchen is the star of this meal—the trusty slow cooker! Start preparing this meal in the morning, and finish it up right after you come home from work! This mushroom-spinach tortellini dish is a healthy and vegetarian alternative to Italian takeout, and tastes like a meal straight out of Roma. Best of all, the whole meal comes together in the slow cooker, so clean up is a snap! This is truly a "set it and forget it" dish! The recipe below could be prepared using traditional pots and pans, but the slow cooker adds an extra layer of flavor that can only be achieved through low and slow cooking times. 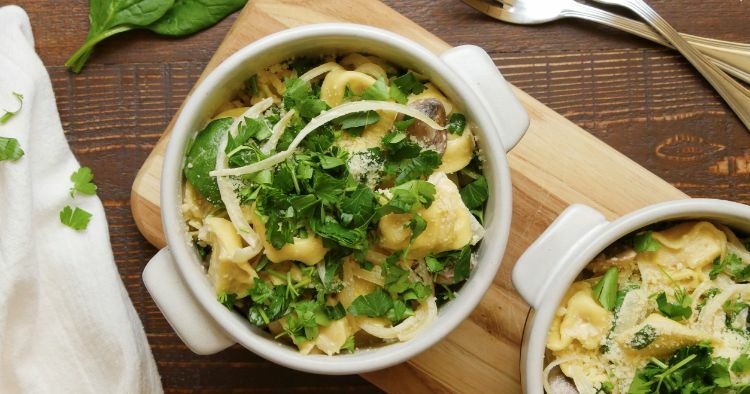 The mushrooms and onions will be fork tender and falling apart, while the cheesy tortellini and cream sauce bring the whole dish together into a comfort meal the whole family will love! Add mushrooms, onion, garlic powder, garlic salt, melted butter, and vegetable stock to the slow cooker. Cover and cook on low for 7-8 hours, until the vegetables are completely tender. 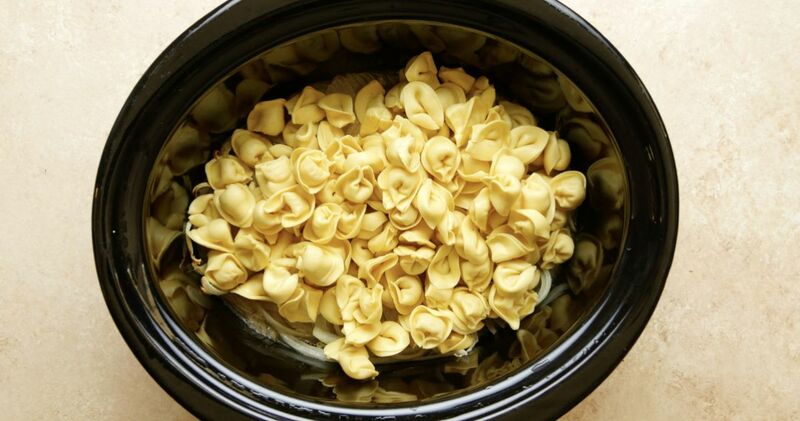 Add the tortellini and cream cheese. Continue to cook in the slow cooker for 30 mins until the cheese is fully melted and the pasta is cooked through, stirring once halfway through. Break the cream cheese into chunks to speed up the melting time. Once the pasta is cooked and the sauce is the right consistency, turn off the heat. Add the spinach, half the shredded parmesan, and half the parsley to the cooker, and carefully stir until they have combined in with the rest of the mixture, about 5 mins. Serve immediately in individual bowls and garnish with more shredded parmesan and parsley.